1. Ch 1. Work 8 sc into the ring. (8 sts) Join with a sl st.
5. Ch 2. Dc 11. Turn. (11 sts) This will work the body of the slipper. You will turn instead of working in joined rounds. 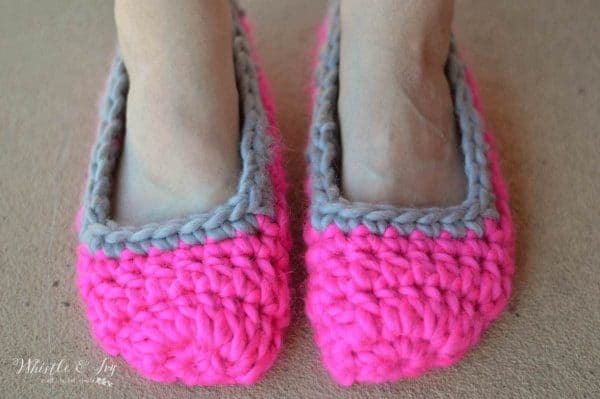 Note: work more or less rows here for a larger slipper. Work the rows until they reach the exact edge of your heel. 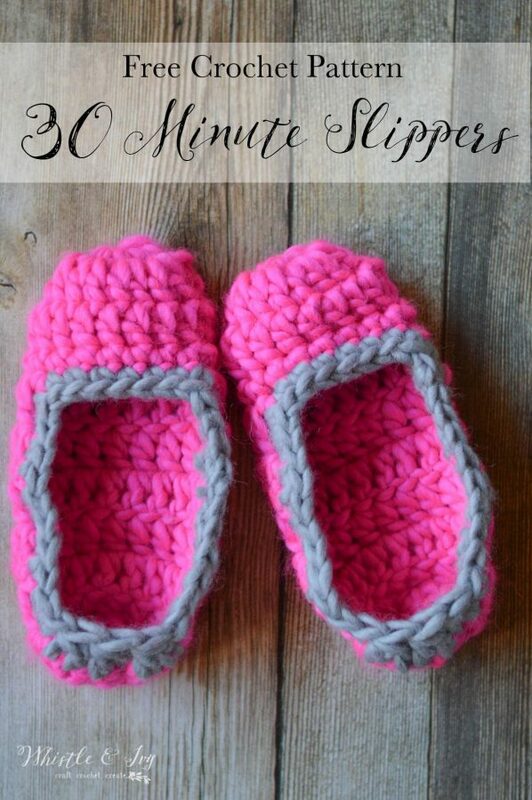 You want the slippers to be snug so they will stay on your feet! 11. Ch 1. Sc 11. Turn. Fold it downwards and sl st together. Flip it in, so the seam is on the inside of the heel. Tie off and weave in ends. Join new color on the left side of the toe, with toe facing downward. Work from the outside and work towards the heel. Work even sc until you reach the last dc row and last sc row. Work 3 dc2tog around the heel (this makes them stay on your feet better. Finish working around the slipper with sc sts. Join with first sc. Tie off and weave in ends. Aren’t these fun? And they are SO FAST. 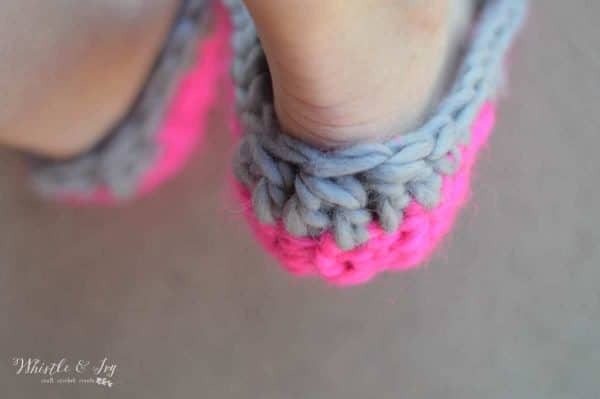 Like these 30 Minute Chunky Crochet Slippers? Subscribe! Hello. 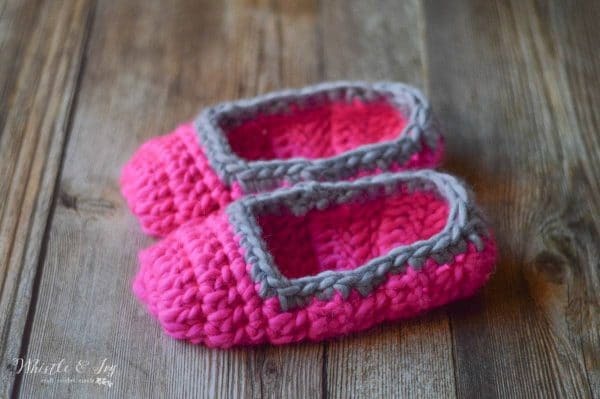 I am trying your 30 minute chunky crochet slipper pattern. I am uncertain as to Where do you mean for us to Join at the ending of the rows? Are we to join into the top of the chains or the top of the first stitch at beginning of each row? 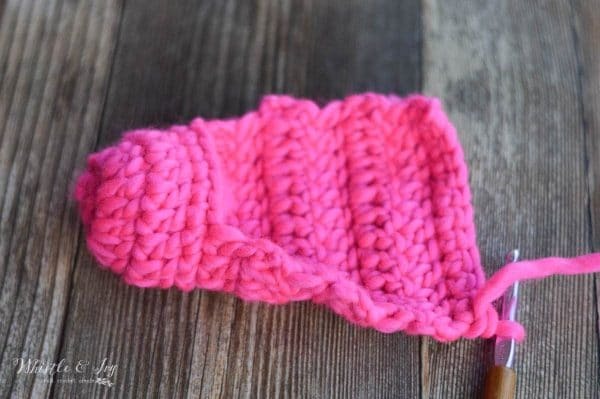 Also do you think working two strands of worsted weight yarns throughout the slipper will be pretty close to the super bulky yarn you recommend? I am assuming you meant a #6 Bulky weight yarn but it wasn’t listed in you instructions either. Looking forward to your response as I am trying them today. Thankyou. So you have a printable for sizing? Hats, slippers, afghans, and such? Or do you know of a fellow artisan that has? 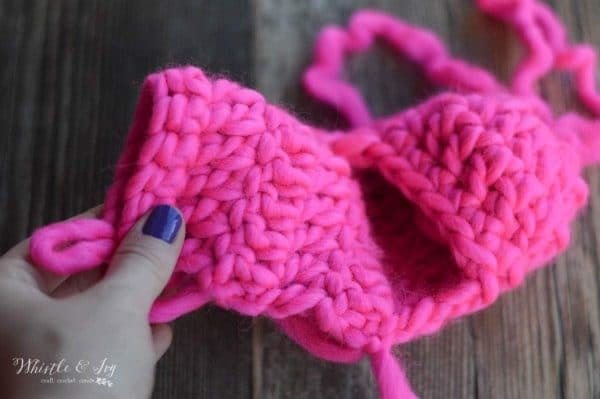 Truly like the hooded cowl for gkiddos! Michigan gets pretty cold!! Lost my crojo for months and just now getting hooks back in a row! Lol. Hi! 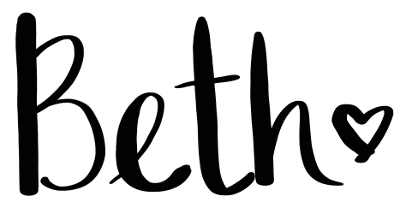 I don’t but several years ago I purchased one from Mamachee and it’s absolutely worth its weight on gold (ten times over). Love my crocheting. I’m from large family so I give it to them and friends in church. I won’t let them pay for it. But I’m given yarn in return. I say My crocheting is my nerve medicine. I agree! it’s very therapeutic for me as well. okay ill see what happens. what size are these approximately. I have the same yarn you used but only a 10 mm crochet hook. You can make any size with them. You simple stop repeating row 6 when they are the proper length. Your hook might be a bit small, but you can give it a go and see how they turn out. They work up fast! I have super chunky yarn but it calls for 19mm hook not 9…I made a magic ring and it looks pretty big…can my yarn be way thicker than the one you suggest??? I don’t, I’m sorry! Do you need help? A video would be helpful. I’m a newbie, and i often have to stop and look up how to do different stiches. Hi Bethany. I hope you are having a blessed day. I just wanted to tell you how much I appreciate you and your designs. They are very easy to follow and understand and I love your commentary. But to help you understand how much you are truly appreciated I have to tell you some background. We are a military family. We live in Mississippi. On my husband’s 3rd deployment to Afghanistan, he was injured and it ended his 23 yr military career. He has a back injury, traumatic brain injury and Post Traumatic Syndrome. This all happened in 2010. So Wounded Warriors and the Army put my husband back together and gave him back to us in November 2012. 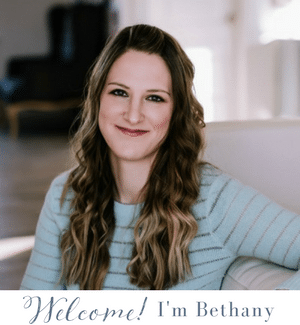 It was a big adjustment and I had to quit my job to become his full time caregiver. So between waiting rooms at the VA and civilian doctors appointments that fill our days, I crochet. I still love to crochet blankets and my favorite thing to do is to get with the wife of a wounded vet and together we pick the colors for a lapghan. These guys are usually taller than any store bought blanket and so I make the lagphan just wider than the vet (so as not to get caught up in wheel chair wheels or to lay across them in a bed or chair and I make them longer plus a “tootsie pocket” for their feet. I get more excited giving the blanket than they do receiving the blanket and it’s fun to get the wife involved. 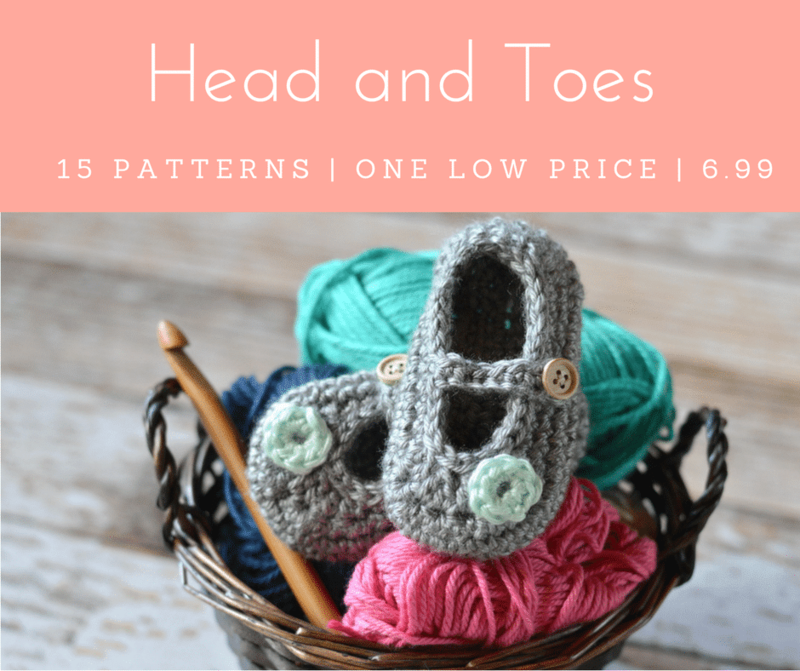 But for a little extra play money, I have been reading your blog and patterns to make slippers and hats and shawls and all sorts of things. I have sold a few of my creations and I find it gives me the creative outlet that I had lost when I quit my job. So on those days when you are feeling blue or you have lost your “Crojo” please know that you and your efforts are appreciated more than you may realize. I look forward to reading more from you. I am a follower on your Facebook page and I look forward to the emails. Hi Bethany. 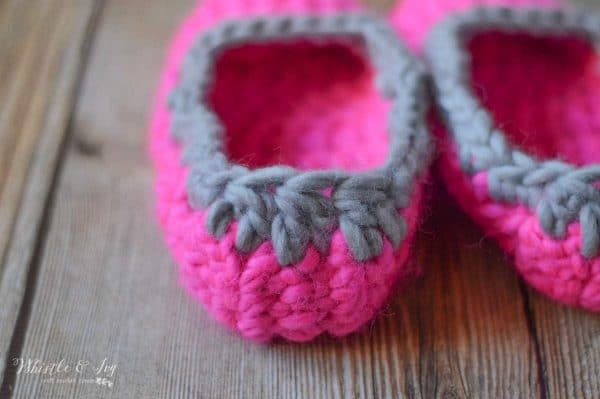 I promise my 2 younger grand daughters I would make them some slippers for Winter. But now it’s the end of August and I still haven’t made them, mainly because the patterns are tooooooo complicated to understand. Now I’ve found yours I shall endevour to make them, I don’y have any chunky wool, so I’ll make in different colours. Will they keep up? OR do they need a little elastic OR a strap? hello! They stay on pretty well, since I worked decreases around the heel. But you can always add a strap. I am not sure about elastic. If you give it a try, let me know!